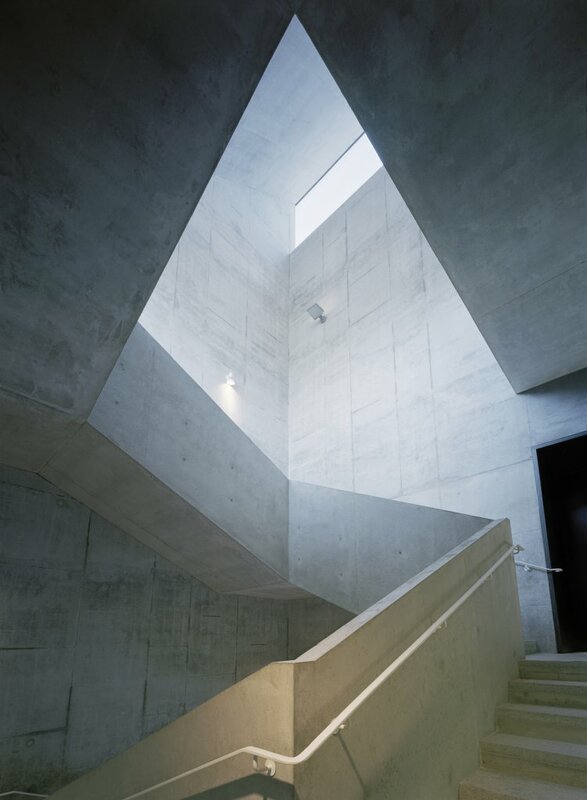 The Kalmar Museum of Art is the result of a winning proposal in the open international competition in 2004 and was inaugurated on the 10th of May 2008. Set amongst the high trees in the main park of the renaissance town of Kalmar, it is built on part of the remains of the medieval city wall, next to a restaurant pavilion dating from the 1930s by Swedish modernist Sven Ivar Lind. Kalmar is a flat town and the museum takes a new stance that complement the horizontal condition of this urban landscape. It’s a new place in the midst of a very present historical context that presents new perspectives on contemporary society in a wide sense. The competition motto was Platform and that is also the conceptual idea of this museum, a series of open platforms for art related activities. 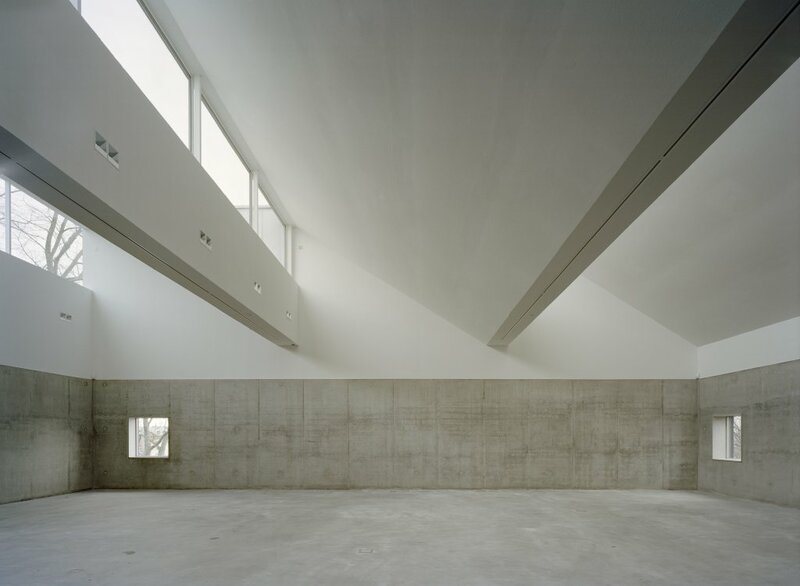 It is also how the museum is constructed, large spans for maximum flexibility on each level, so that not only light but also space can be transformed and adjusted to meet the specific needs of each exhibition. The new museum is a black four-level cube clad with large scale wooden panels and punctuated by large glazed openings. 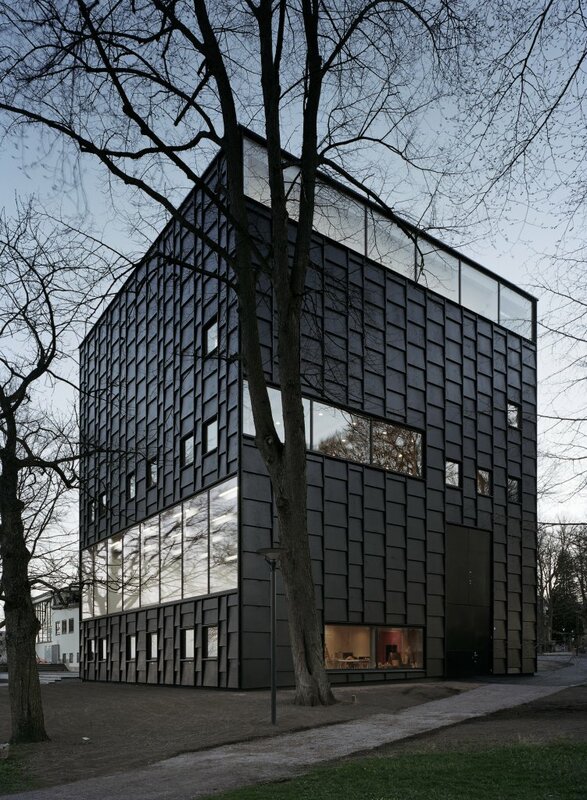 It houses the Kalmar collection of Modern Art as well as provide spaces for temporary exhibitions of contemporary art, videos, performances and concerts. Almost domestic in scale this museum still provides a variety of exhibition conditions. 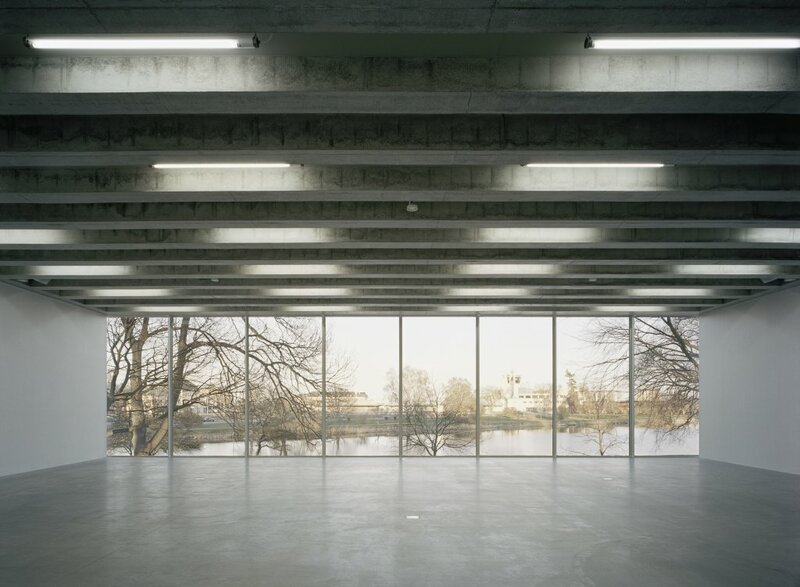 The two main spaces are the white box where one side can open up completely to bring in the exterior of the park, and the top floor gallery that is lit by shed head light shafts doubling its ceiling height. In addition there is a public art library and open workshops. One of the architectural main features is the open stair spiralling the full height of the building, starting from the new entrance lobby that interconnects between lake-side and park. 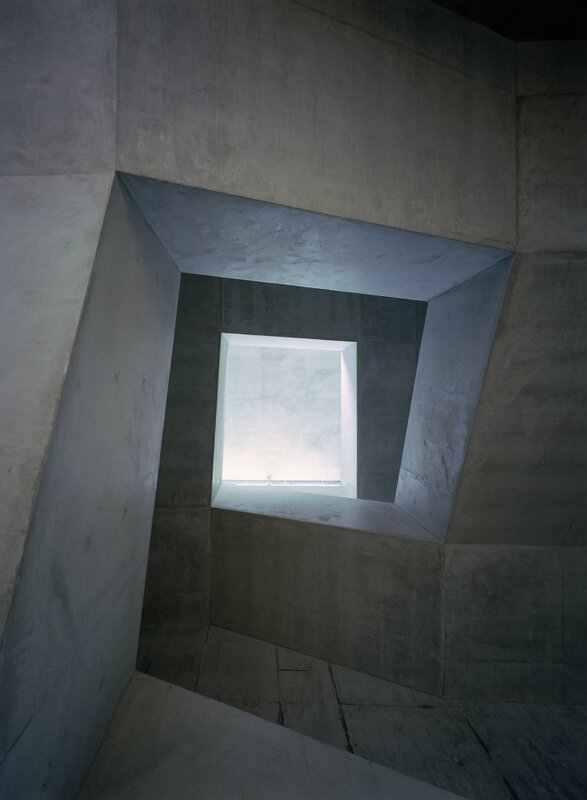 It is a top lit space with all surfaces finished in exposed in situ cast concrete. The four floors, each different from the others, are stacked on top of each other and create a vertical walk up into the greenery of the trees with a series of different spatial experiences while offering views of the environs; the Kalmar castle, the lake and the city centre.